Is it possible to disentangle the music on Michael Brecker’s final recording from the circumstances of its making? Probably not, but let’s try. 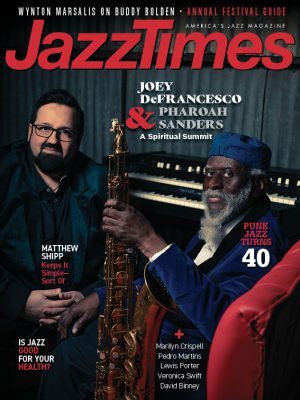 As anyone reading this magazine must know, Brecker announced in 2005 that he would stop performing in public because he was suffering from the bone-marrow disease myelodysplastic syndrome, which led to leukemia. 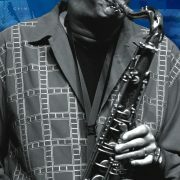 In the summer of 2006, he enjoyed a spell of good health, guested with Herbie Hancock at the JVC Jazz Festival and organized an August recording session to document his final crop of compositions. Joining him in the studio were guitarist Pat Metheny and drummer Jack DeJohnette (who first played with Brecker on Metheny’s 1980 set, 80/81), Hancock (who split the piano duties with Brad Mehldau) and bassist John Patitucci. Everyone in the studio-including the saxophonist himself-must have known Brecker didn’t have long to live. That knowledge couldn’t help but have affected the way the musicians played. And it can’t help but affect how we hear the resulting album, Pilgrimage, now that it’s been released, four months after his Jan. 13 death at age 57. The heightened emotions surrounding the project may have sharpened the intensity of the musicians’ playing and the acuity of the audience’s listening-but they could just as easily have distorted the playing and the listening with maudlin sentiment. Which was it? How would we have responded to this album if it had been just another release from a healthy Michael Brecker? We certainly wouldn’t have associated any of these nine instrumental tracks with sickness and death. There is none of the howling anger or desolate anguish that one might expect from a confrontation with mortality. Such rawness was never Brecker’s strength anyway. As much as he talked about John Coltrane as his original inspiration and as much as he borrowed from Trane’s phrasing and harmonic approach, Brecker’s refined sound and melodies were very different. To say that he resembled Wayne Shorter, Charles Lloyd or Joe Henderson as much as he did Coltrane is merely to say that Brecker established his own identity as a player. His strength was his melodic lyricism, both as a composer and as an improviser, and it’s that quality-not the surrounding story-that makes Pilgrimage the triumph it is. The album also lacks the stoic fatalism that’s sometimes associated with dying. In fact, the disc’s strongest tracks are all driven by a sense of quest, as if the composer and his bandmates were seeking the answer to a nagging question. If these compositions had been released by a healthy Brecker, we might have thought the musicians were trying to solve the riddle of a romantic relationship, a philosophical quandary or merely the harmonic challenge of finding the perfect restatement of a theme. No matter what the provoking topic may have been-life-after-death, life-before-death or bridge-after-verse-the urgency with which these musicians chase after the answer is thrilling. This is most obvious on “Anagram.” Patitucci kicks things off by turning a walking bass line into a sprint, spurred on by DeJohnette’s quick flicks at the cymbals, and Brecker leaps in with a darting tenor sax figure to keep up. Things slow down for a moment as the saxophonist ponders his own theme, but Patitucci soon tugs at his sleeve with a renewed sprint. Brecker starts racing through Trane-like arpeggios that are simultaneously single-note runs and thickened chords but with Brecker’s distinctive tunefulness. On and on the solo goes, for nearly four minutes of exhilarating restlessness, hunting for a new harmony like a dog sniffing for a fox beneath every bush. Even when the lead is taken over by Metheny, then Mehldau and finally DeJohnette, the feeling of pursuit never falters. The same tumbling-forward momentum can be heard in the aptly titled “Tumbleweed.” Brecker’s fusion roots show through here, as he doubles on tenor sax and Electronic Wind Instrument (triggering flute and vocal samples as he goes) and invites Metheny to haul out his guitar synth. The timbres may have changed, but the questing quality of the composer’s themes, the melodic resourcefulness of the soloists and the relentless push of the ever-inventive rhythm section are the same. When the tempo slows, as it does on “Five Months From Midnight,” the impatient seeking becomes a palpable longing. The main melody-rising like a reluctant question and falling with an unanswered sigh-is so strong that it calls out for words from one of Brecker’s former employers-Paul Simon, maybe, or Joni Mitchell. Even without words, one can sense a reaching out for connection; Brecker’s superbly controlled tone blooms and contracts with hope in each phrase. An even stronger melody is introduced by Patitucci’s bowed bass on “When Can I Kiss You Again?” and given an even deeper sense of yearning by Brecker’s opening statement. As Hancock and Metheny rework the tune, it’s clear that the tension in the slowly unfolding theme seeks a release that has been withheld. The album ends with the title track, the last number that Brecker ever recorded. With the phrasing and pacing of a slow hymn, the music reinforces the title’s implication of a spiritual search. Hancock switches to electric piano and showers bell-like notes over a melody that seems to grow out of Brecker’s expansive harmonies instead of the other way around. Each member of the quintet adds to those gorgeous harmonies which seem to swell in anticipation of a final answer, only to fall back into a meditative minimalism before gathering forces for another surge forward. Pilgrimage isn’t a perfect album. The opening number, “The Mean Time,” is a bit generic, and the funk exercise, “Loose Threads,” though effective, is out of place. Brecker’s tone lacks the robust strength of his prime. On the other hand, his phrasing is more acute than ever, and the CD includes some of his best compositions. Is it the equal of “A Love Supreme”? No. Is it a fitting climax to an admirable career? Yes. Does it matter if we know that the title “When Can I Kiss You Again?” came from Brecker’s teenage son, who was frustrated that he couldn’t touch his father isolated in a hospital? Not really, for the tune, like most of those here, is so universal that it would speak to us even if there had been nothing unusual about the making of this album.